Former IBF and WBA junior welterweight champion Amir “King” Khan 32-4 (20) believes a bout between Manny Pacquiao 59-7-2 (38) and himself is still a real possibility after discussing the fight with Top Rank boss Bob Arum. The 31-year-old from Bolton is preparing for just his second fight in two years when he takes on Canadian-based Colombian Samuel Vargas 29-3-2 (14) at Arena Birmingham in Birmingham, UK on September 8. 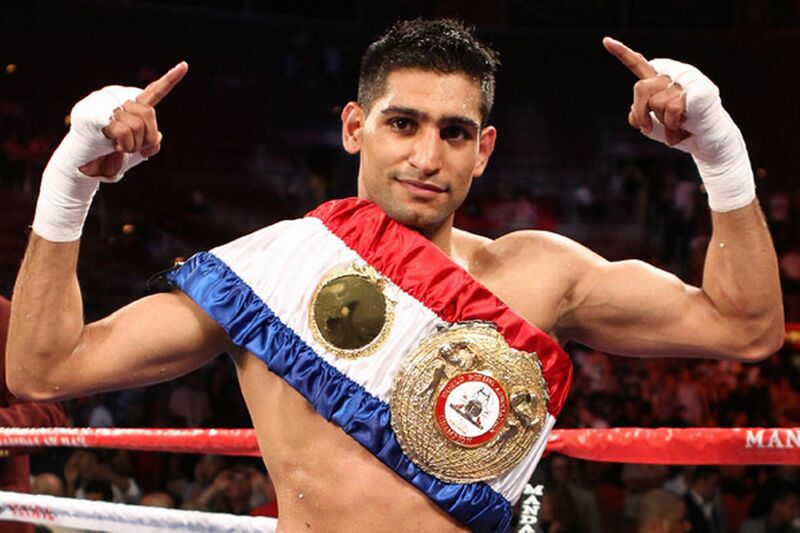 Khan’s name has been mentioned as a potential future opponent for WBO welterweight champion Terence Crawford 33-0 (24), but the British boxer has stated his preference to fighting his former sparring partner who he says he did “very well” against when the pair traded blows in 16oz gloves at Freddie Roach’s Wild Card Gym in Hollywood, California a number of years ago. “I spoke to Bob a few times, look, the fight they would love to have is the Manny Pacquiao fight,” said Khan to ES News. “I remember talking to Bob about it and Bob was really interested. It’s funny, Bob is changing things again. Last year Khan’s team tried to entice Pacquiao into a proposed multi-million dollar fight in the United Arab Emirates with the promise of big money from the oil-rich nation. Both sides even went as far as to tell their respective followers on social media that the fight was a done deal, despite a deal already being in place for Pacquiao to face Australia’s Jeff Horn on April 23. The talk of a $38 million fight in the Arab desert turned out to be little more than a mirage. “When they contacted me, I told them it was pie in the sky, that this is crazy, it’s not going to happen,” Arum told Lance Pugmire of the LA Times of the quixotic chase in March last year. “Manny wanted to roll the dice. He rolled the dice and it came up snake eyes. With both boxers on the downside of their respective careers, the fight might be a more realistic proposition now. Pacquiao is scheduled to face WBA “regular” champion Lucas Matthysse 39-4 (36) at the Axiata Arena in Kuala Lumpur, Malaysia this Sunday.